It will be held the blessing of the new Processional Cross of the Saint Christopher brotherhood/confraternity. In the same act, reed will be blessed, symbol of our festivity. 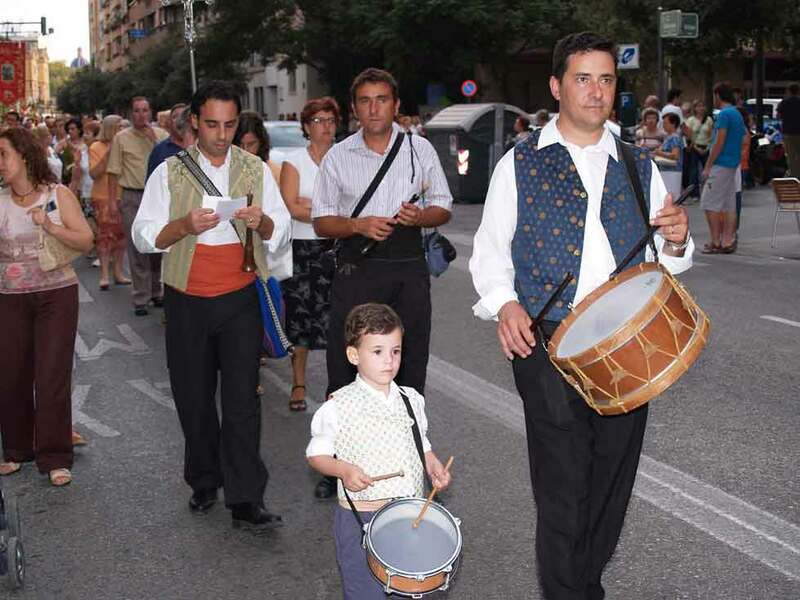 The sharing of programmes and little palms will be done by the Clavaría Infantil, who will carry the typical reed of the Saint, recalling an ancient medieval tradition to the merchants and neighbours of the neighbourhood. 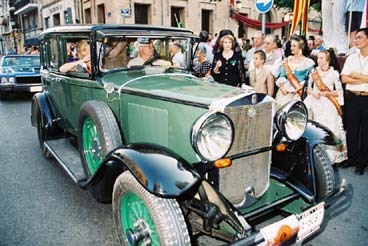 Ancient vehicles gathering in the section that is going from Alboraya street until the border of the river. You might admired this cars until 20:00 hours. Main mass of Saint Christopher. 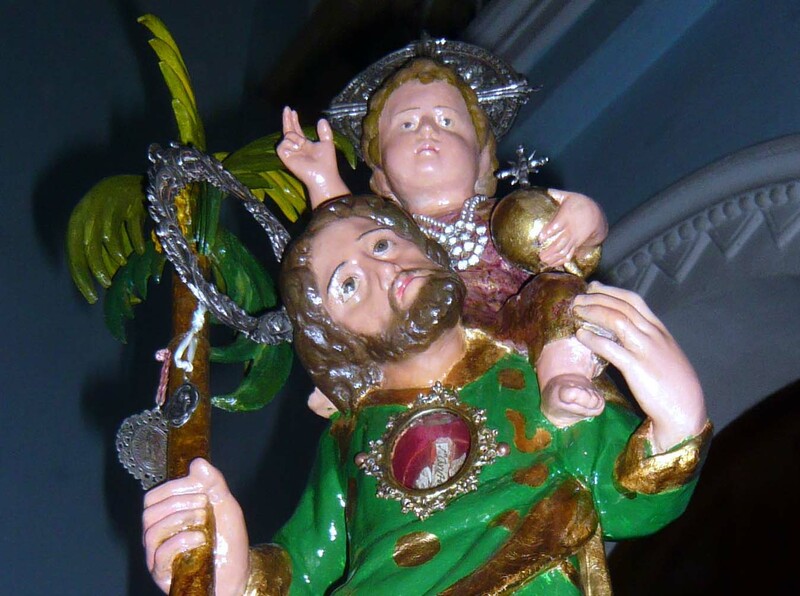 In the course of this religious act, the “palmeritas” of the Saint will be blessed and the medal of the brotherhood/confraternity will be granted to the new Clavarios and the honour members (Clavarios). 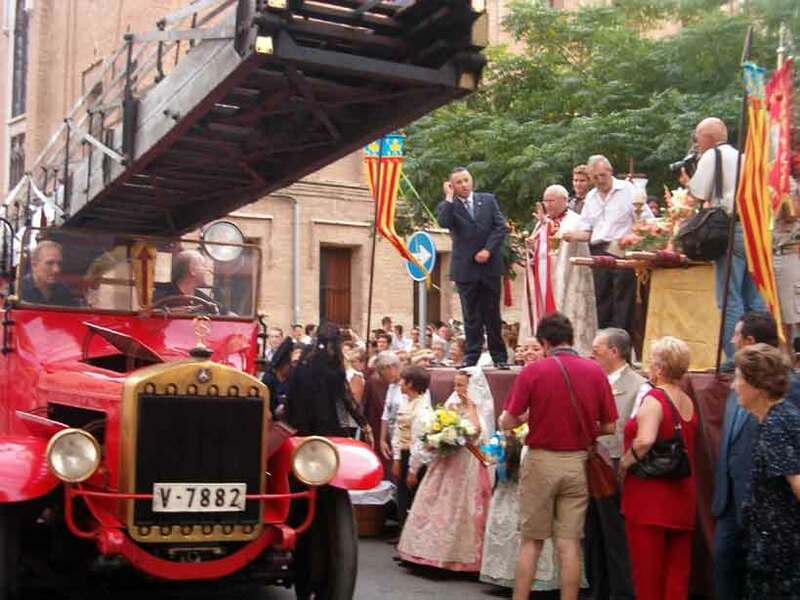 The cars will travel the following itinerary: Alborada st., Molinell, Botanico Cabanilles, General Elio, San Pio V, returning to Alboraya st. to take part in the blessing. 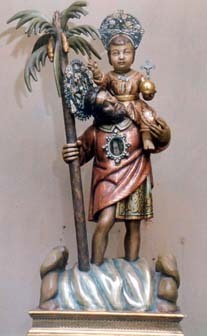 Exit of Saint Christopher image. It will be located in the Poeta Bodría- Alboraya st. crossing for vehicles blessing. Ancient cars, fireman's cars, policeman's cars, peculiar ones and whatever whose owner wishes that is blessed. Cars will come from the left riverside towards the health centre. They will be blessed in front of the Saint Christopher monastery. Alboraya st., Jaca st., stop at the casal of the falla Molinell Alboraya, Pintor Genaro Lahuerta st., Pintor Vilar st., Hugo de Moncada st., passing in front of the Casal of the Falla Trinitat-Alboraya, Poeta Bodría st. and finishing at the monastery.